Or, ten reasons to get off your arse! In this first part of our Ski Fitness Training series, PerformancePro director Dan Boulle shares his passion and some professional tips to help you prepare. If like me you crave the crisp alpine air, a vin chaud at nine o clock in the morning and eating lunch at 10,000 feet then there really is only one reason…..SKI SEASON. Of course ski season can also be called boarding season, or half pipe, aerials, slopestyle, moguls or even speed season. Whatever your discipline, the chances are you will have spent most of the past year wedged behind a desk. 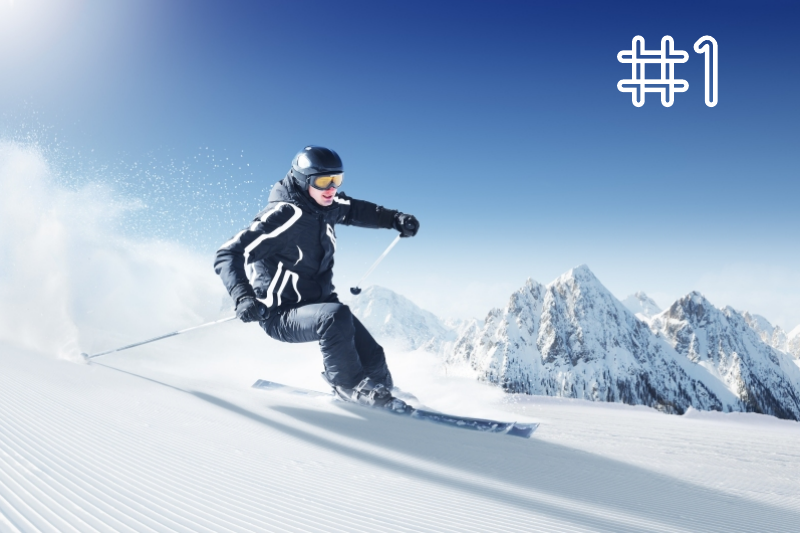 Despite this, most of us still expect to go and spend a week on the slopes smashing it up as if we were a teenage Hermann Maier. Maier, a man mountain of an Austrian was famed for his aggressive all or nothing approach to downhill skiing. This uncompromising and brutal approach regularly saw him smashing his competition but also ensured he spent lots of time in the back of an ambulance. So first tip is to remember, ‘you are not Hermann Maier’ and six months in a rehabilitation centre is not an option. With this in mind, a more sensible approach is needed so getting a little stronger and more robust is without doubt the first place to start. You’ve spent the best part of the past year wedged behind the table in your office or the pub. You expect to be able to do this for up to 7 hours a day! OK, so I’m being a little tongue in cheek but these really are the facts. Admittedly most of us are not intending on heading out to compete in a world cup event but we are spending a vast amount of our hard earned cash. At the very least, we want to be able to enjoy our time on the slopes. We may dream of the perfect carve and slicing up the slopes from dawn until dusk, only for it to turn into a feat of endurance of the ugliest kind. After the first run we feel like our lungs are exploding and our thighs have been hacked into with a machete. Come lunch time on day one, we just want the pain to end. Get some help – understanding how to make the most of your time in the gym is key so a well qualified coach is going to give you the best return for your money. Making it up as you go along with a few bicep curls and reps on an abb cradle (if they still exist!) isn’t going to help. Stop thinking you’re Hermann Maier!